TD Bank recently began offering customers the option to configure their security settings. Within these settings, you can choose to either have to complete a security code every time you log in, or once per new computer. 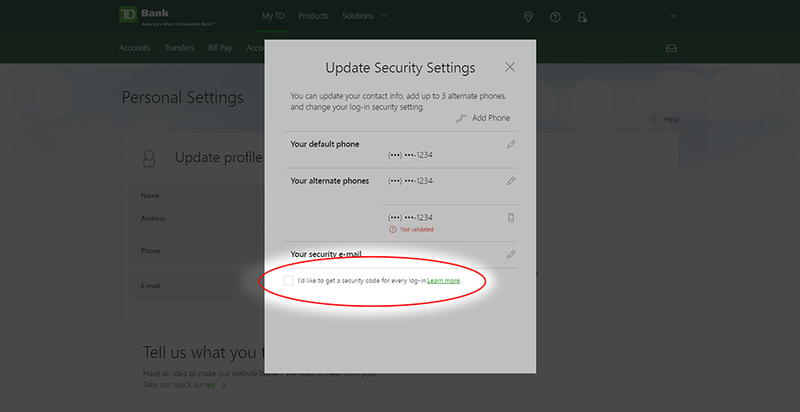 If your account is enabled to ask a security code every time you log in, this will cause you to have to complete a security code every time you wish to view your up-to-date balance information in Prism for TD Bank. You will also be unable to make TD Bank payments in Prism. 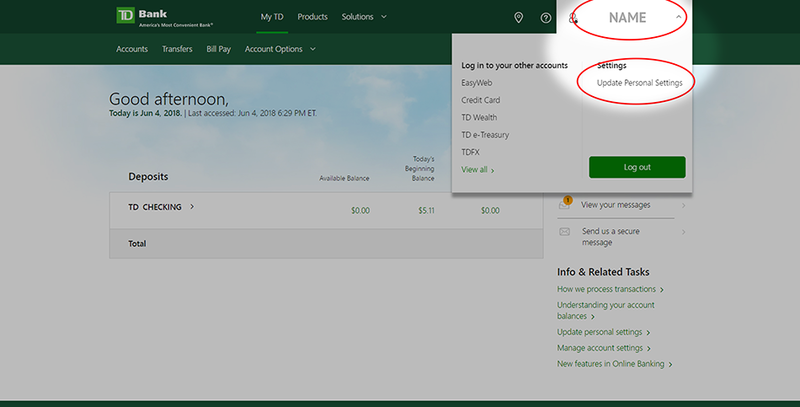 If you would like to reconfigure your TD Bank account so that you are asked to complete a security code only once in Prism, simply access your account outside of Prism and follow the instructions below. Don't worry - you will still be asked to complete a security code every time you log onto a new computer, so your account will still be just as secure! Once you've logged in, select your name in the dropdown menu on the top right, and select "Update Personal Settings." 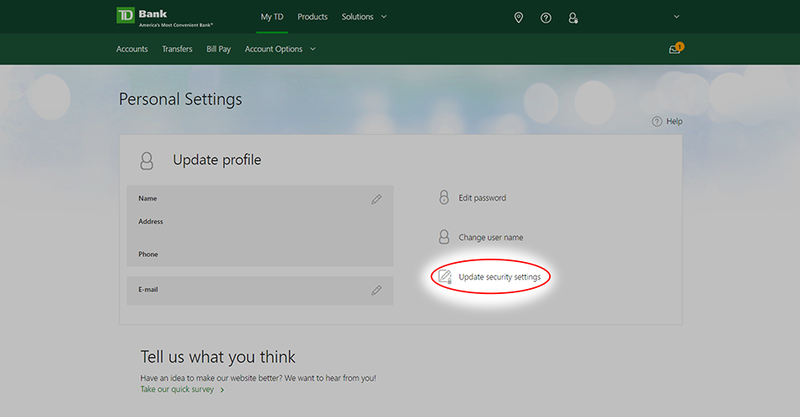 Once on the Personal Settings page, select "Update security settings." And finally, make sure the "I'd like to get a security code for every log-in" option is deselected. That's it! Going forward, you will only be asked to complete a security code every time you log in on a new computer. You may also see an email confirmation from TD Bank confirming this change. Please contact us should you have any questions or concerns!